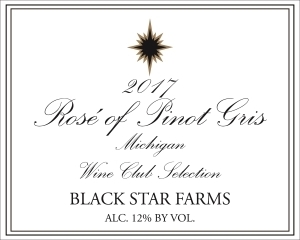 Pinot Gris is almost always produced as a white wine, but in exceptional years can be made as a rosé. To be able to do this we must leave the wine in contact with the skins for at least 8 weeks, so the fruit must be exceptionally clean. Strawberry and watermelon on the palate with a soft lush mouth feel. Drink now or within the two to three years. This wine is wonderful as an aperitif or with strong pungent cheeses.